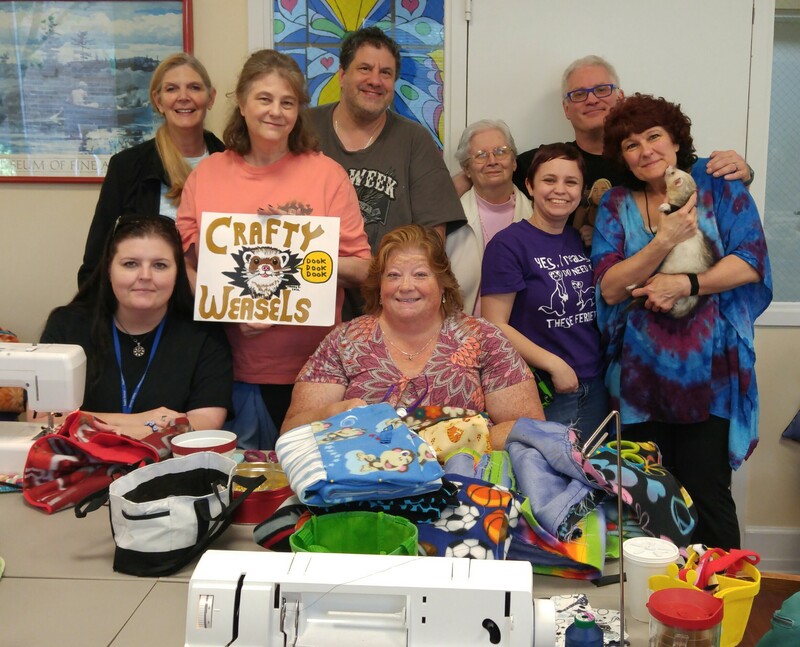 Well, we had a very interesting sew day in June. It started out very slow, but we were thrilled to see that Wayne <the driver that always takes care of our room, and loves ferrets was back working again. He had been sick for a long time. Didn’t get a picture of him with Fi (Morgan’s boy) but he was thrilled to see we were back with ferrets too! Dawn came and dropped off some more bedding. Truly have no idea how she can accomplish so much (cutting, pinning, sewing, ironing, and final sewing with ribbons), and still make wonderful creations on her new Embroidery machine. I know we always joke about the minions under her stairs … buuuuuuuttttttt …..
I’ve included two different pictures. Meliah was nice enough to take one so that I could hodl Fi …and I was getting kisses!! Sue had to leave a bit early, so wasn’t in the picture — but she was there for the first part to get things rolling with us! 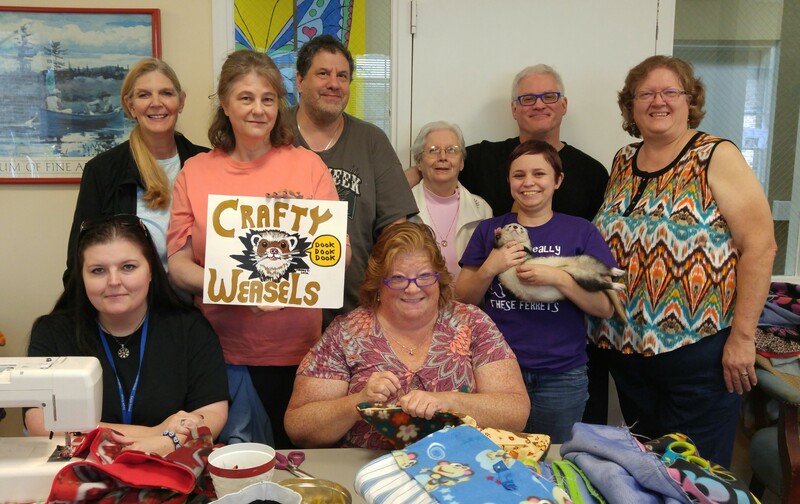 I’m very proud of this wonderful group of friends that get together so regularly and devote their time and energy to helping make this bedding for shelters. This entry was posted in Sew Day on May 23, 2016 by Nikki Rockstroh.